Bean, Lima - Henderson Bush. Latin Name: Phaseolus limensis. Other Names: Butter beans, Chad beans, Carolina beans,Haba bean, Pallar bean, Burma bean, Guffin bean, Hibbert bean, Sieva bean, Rangoon bean, Madagascar bean, Paiga, Paigya, prolific bean, civet bean, sugar bean. Recommendations: UIL, UF. Type: Heirloom. Description: Produces plump pods filled with 3 to 4 small, white seeds even into the heat of summer. Good for canning or freezing. 82 Days to germination. Select dry long healthy lima bean pods that rattle. Remove seeds when pods have dried completely. 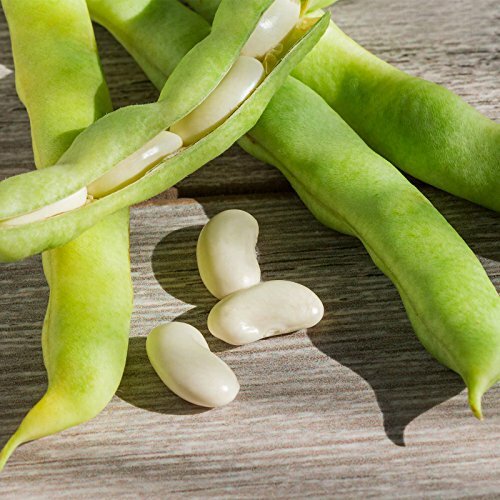 Store lima beans in a cool, dry area.